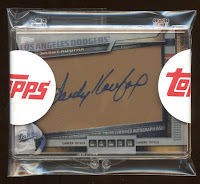 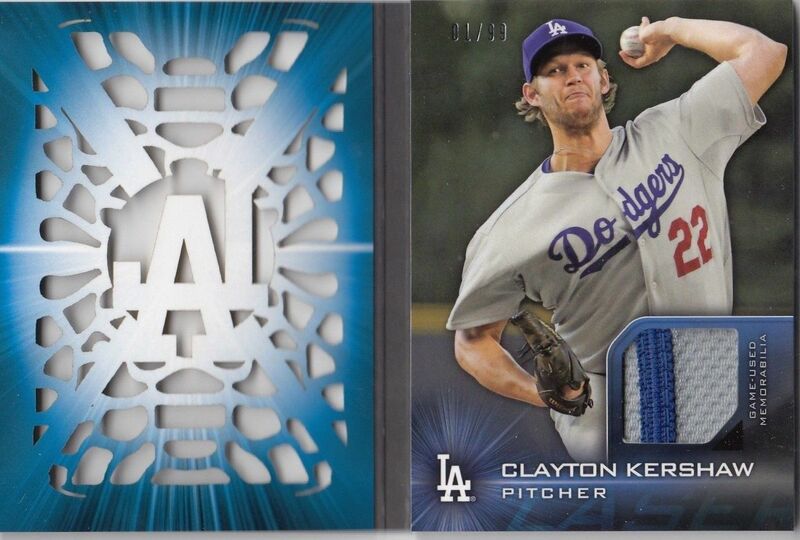 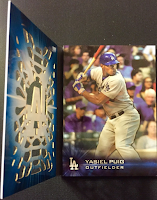 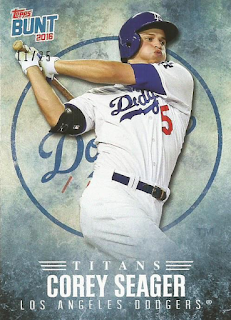 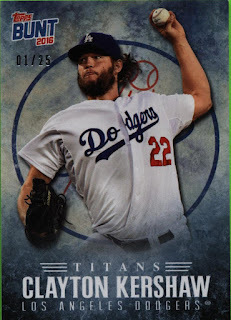 Here is a final look at the Dodgers cards found in packs of 2016 Topps Series 1 packs. These are some of the more scarce cards that are available, so I don't have photos of everything. Go here to see all of my previous post on this set. 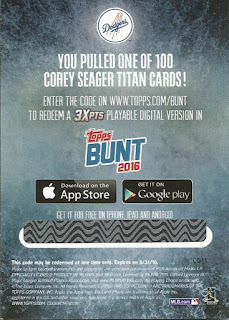 Of note are the "Topps Bunt" insert cards that refer to an smartphone app featuring virtual cards that are collected just like real cards - with folks even paying premium values for them on eBay (wha???). 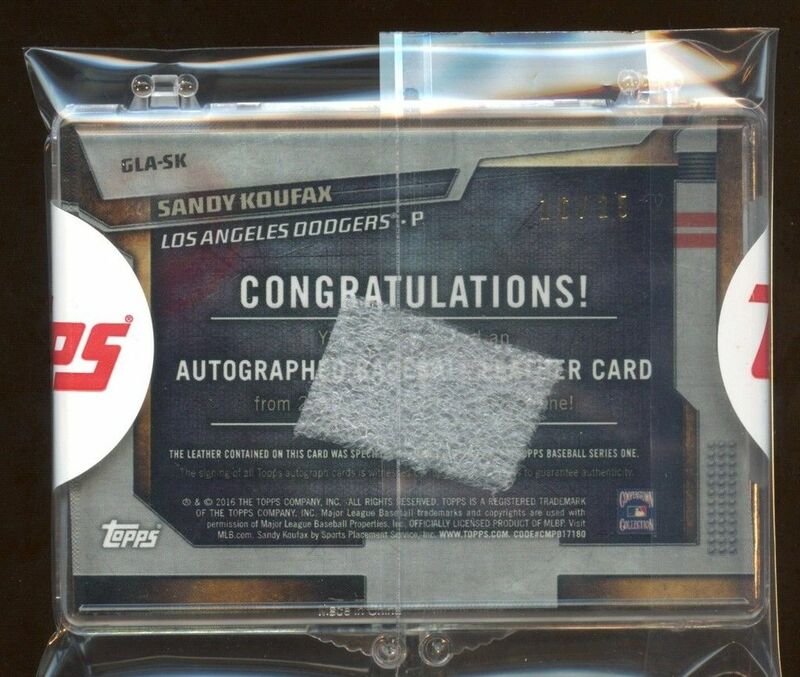 Frankly, I don't get it, but what do I know? These "real" insert cards are limited to only 25 copies and sell for big prices online. 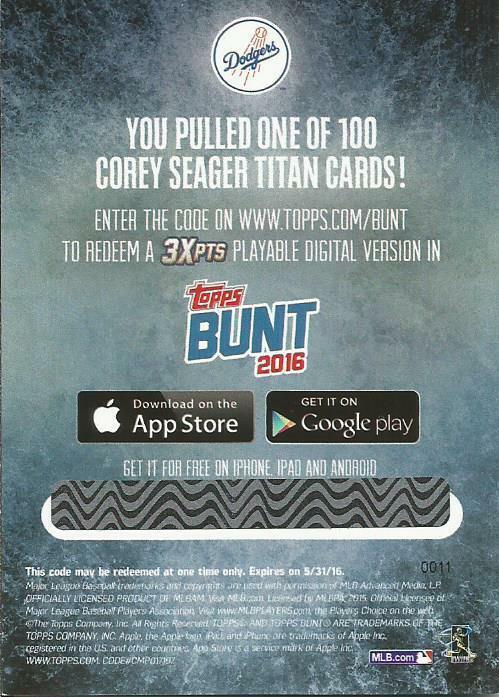 There is a code on the reverse of the card that you can input on the app for extra virtual cards/points.